Dark Chocolate Pretzels are a curiously delicious combination of crunchy, salted pretzels coated in smooth, dark chocolate. 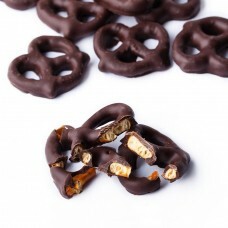 ​Grab a bag today, but be warned: it's hard stopping at one! CONTAINS: Wheat, Soy. May Contain: Traces of Nuts. 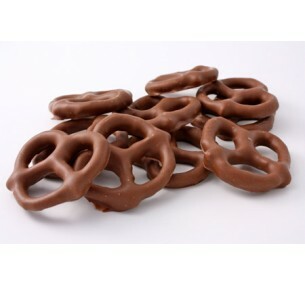 Milk Chocolate Pretzels are a curiously delicious combination of crunchy, salted pretzels coated in ..